We arrived and were greeted by friendly bouncers and staff. Wow, what a difference. 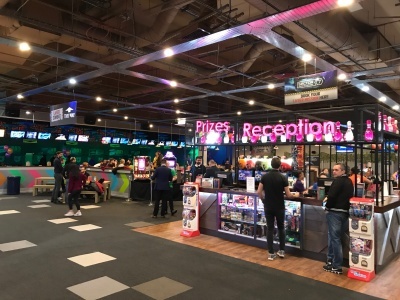 Gone were the old snooker/pool tables in that dark, dingy room and hello to the bright, light, happy atmosphere of arcade machines, table tennis tables, ten pin bowling lanes, a bar and wait for it…laser tag room! 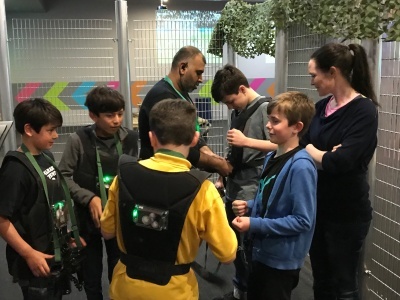 So this entertainment centre has just ticked all of the boxes for those with children “at a certain age” who are too old for soft play and too young for getting married but will cover all the ages in between! This is the place you can hang out with your friends and your families. Between us we had children from 7 – nearly 13 years old and all of them had a brilliant time (including us parents!). The ten pin bowling lanes sported great technology which even allowed you to take photos of the individual players. 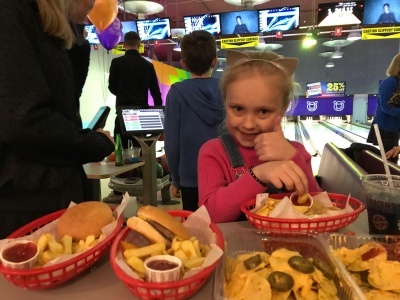 We were fairly terrible at the actual bowling and used the gutter guards but there were definitely signs of improvement as the games went on and tenpin bowling is always cause for hilarity and smug dad dances! As long as you don’t wear heels or open toes you can keep your own shoes on, saving yourself from the dreaded bowling shoes. This was quickly followed by a drink from the bar, slushies for the children. The central bar and eating area means you can keep an eye on the children but also have a rest when they’re still running around. 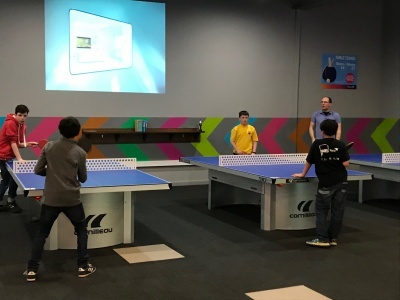 They were keen to get straight on with a game of table tennis and bounced off some more energy before hitting the arcade games. 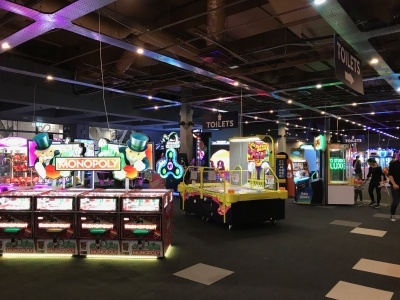 We had just been saying about our own childhood memories of the arcades…mine were on Brighton Pier near my grandparents’ house. That feeling of exchanging the treasured ‘won’ tickets for some rubbish but totally wonderful prize! After exhausting the children (and possibly the staff with our endless questions!) it was time to head home. Everyone was incredibly happy after this truly feel-good evening. It was great to know as they headed into teenage territory that there’d be somewhere fun to hang out (that isn’t a bus stop or bike shed)! · Parking in Luton is always my nightmare and we did choose the wrong car park (Palace). The Bridge Street car park is right outside the Galaxy Centre and would have been much more convenient! 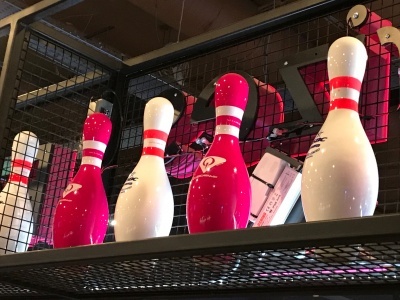 To book your fun at Ten Pin Luton head to www.tenpin.co.uk/our-locations/luton/ and see their latest deals.